Happy February!! And welcome to the first release week sneek peeks of February 2015 from Taylored Expressions! Today we have about 8 inches of snow on the ground - but I have hope that spring is around the corner after creating all the fun springy, sunshiney, easter packed lovelly sneak peeks with all the fun new stamps, dies, paper packs and matched kits from Taylored Expressions which will be available for your crafting pleasure on Thursday morning - Feb 5th at 7amPST!! 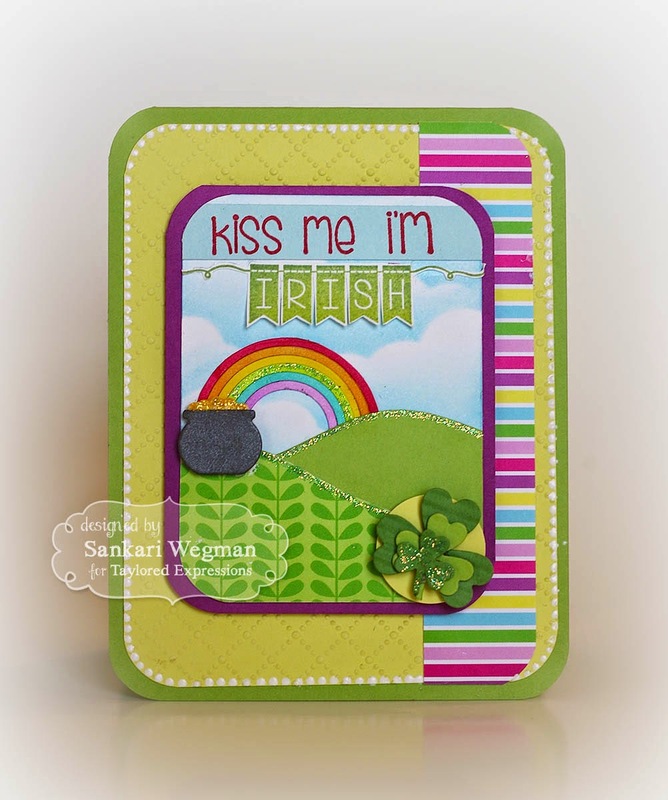 Today, I created two projects using the Little Bits of Spring stamp set and used some Little Bits of dies that can coordinate with it - including Little Bits: Shamrocks and Little Bits: Rainbow's End. I created a little scene using papers from the newest Matched Kit from TE called: For Peep's Sake (isn't that such a cute name?!) - I also used the embossing folder: Dotted Lattice EF on the cardstock behind the image - love the sweet look of the embossing! Here is a close up of the card - I created a little bit of a scene (lol) by sponging the clouds using the Cloud Border die and the Build A Scene: Rolling Hills and then to this I created a the rainbow and the pot of gold at the end using the Little Bits: Rainbow's End dies (and added a little bit of stickles to the gold and to the rainbow) and then decorated the bottom of the card with a shamrock embellishment using the Little Bits: Shamrocks dies - how how happy and springy this card turned out to be!!! 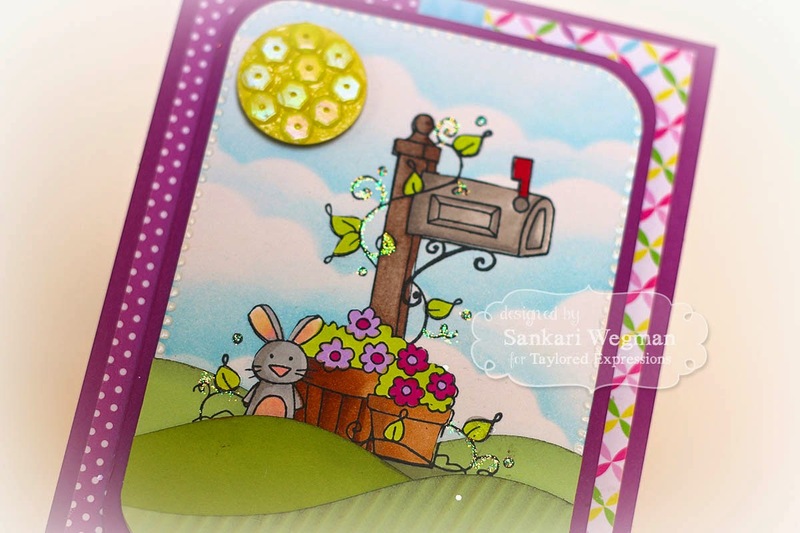 AND I just loved using these fun papers from the new Matched Kits set: For Peep's Sake! 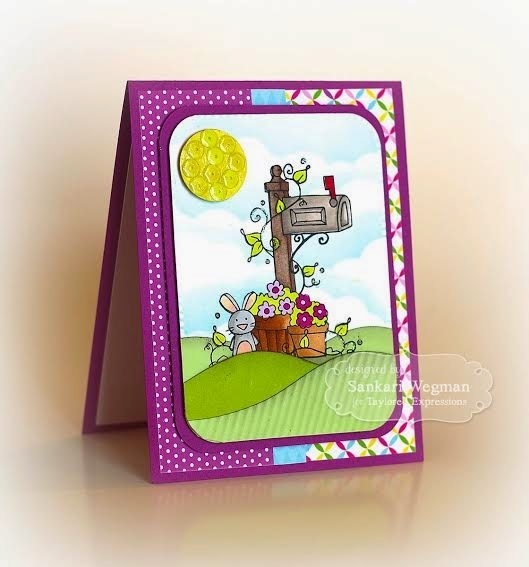 For my second project, I created a card using the new stamp set You've Got Mail-Spring - this is such a sweet stamp set - I esp love the little bunny and the awesome vines around the mailbox - and I just love these papers from the Matched Kit: For Peep's Sake! I had so much fun creating these cards and can't wait to see all the wonderful creations created by this amazing team!! Thanks for visiting crafty friends! if you would like to see more projects and new product information, please head over to the TE blog for a complte blog roll of our participating designers! These are both wonderful, Sankari! 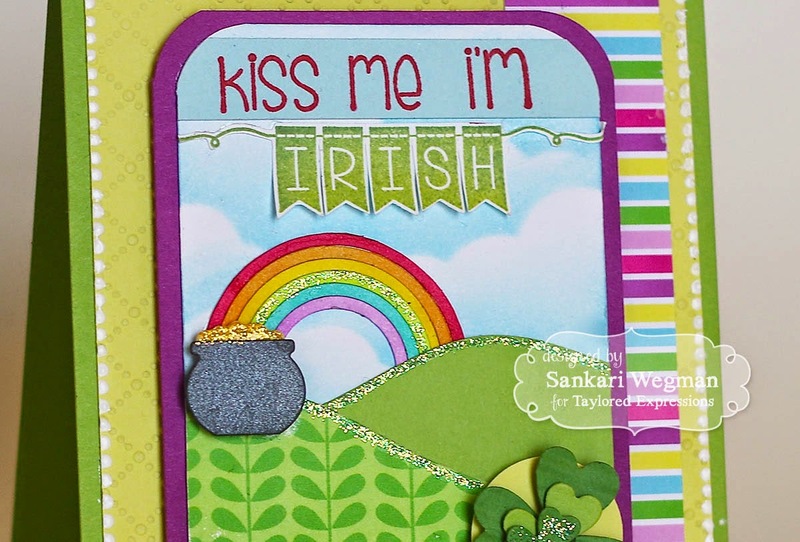 I love your pot of gold and all the details! And your mailbox is so sweet surrounded by the rolling hills! Love your sunshine with the sequins! Very clever!